Hey y’all – temperatures are dropping and I’m looking for all the cozy things to wrap myself in. 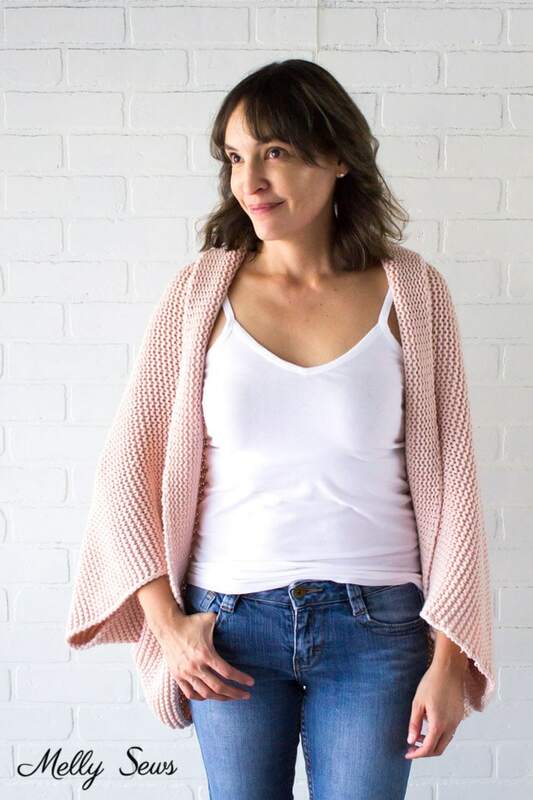 That’s how I ended up sewing this cocoon cardigan for myself. And good news – this is perfect for gift giving because the sizing is so flexible. I fell in love with these IKEA blankets on my last trip in the store, and I knew I had to find a way to sew them. 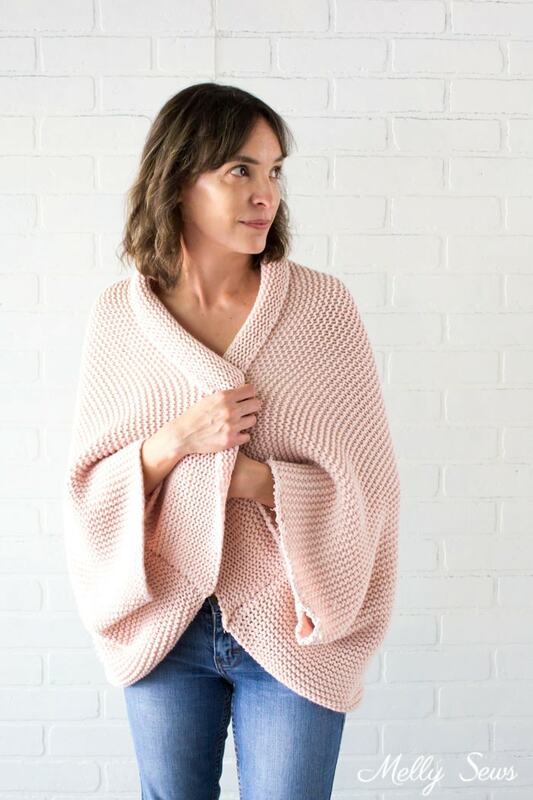 The advantage to using knitted blankets for fabric is that you can get a hand knit look in much less time than actually hand knitting. While I do like to knit, I don’t have knitting time for much more than socks or hats lately. Before finalizing this tutorial, I consulted with my assistant Susan. 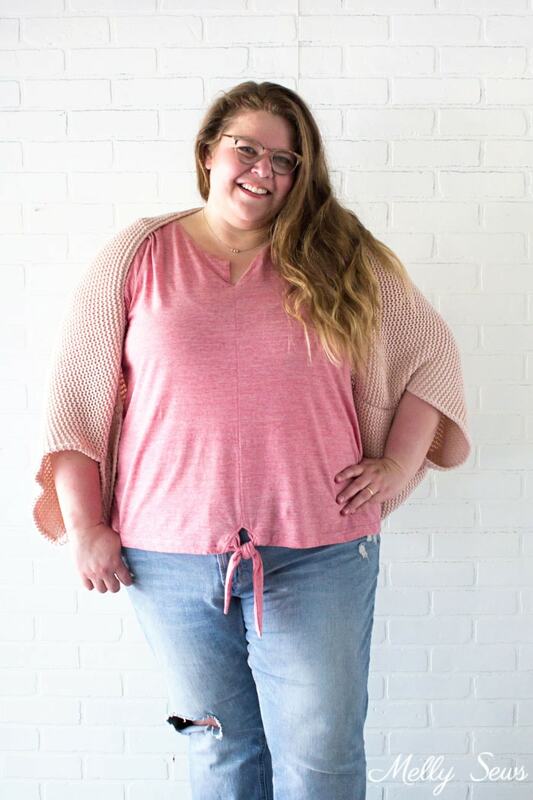 I wanted to figure out a formula that would allow all types of bodies and sizes to wear this. The formula we figured out doesn’t fit each of us exactly the same, but Susan preferred this version because when we tried to change the shape to make it fit more like mine fits me she didn’t like how long and voluminous the arms got. I do still think she wears it well, and I’m glad she’s happy with it. 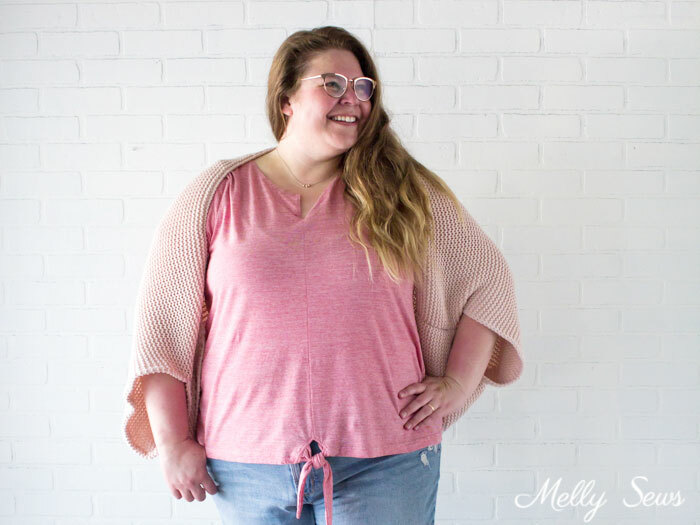 Bonus – both of our sweaters were made from one blanket, which makes this a pretty affordable thing to make as gifts if you have multiples of people on your list that might enjoy this type of sweater. 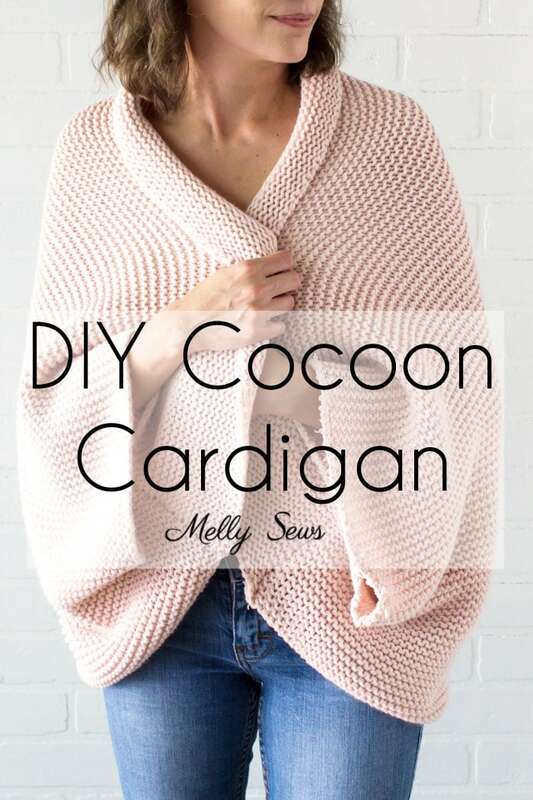 You can also make this from fleece, which is even lower in cost than the blanket I bought, though watch the video to see how that changes the fit. A blanket or piece of stretch fabric that is at least 40 inches wide by 30 inches long. I used this one. Watch the video below for instructions on how to make this. You can also watch on YouTube here if you prefer, or scroll down for written instructions. The formula for the width of your rectangle is 1/3 of your hip measurement plus 28-30 inches. So for example, if you had 36 inch hips, you’d divide by 3 to get 12, and then add 28 to get 40. For length, decide between 30 to 36 inches. For reference I’m 5 ft 3 in and mine is 30 inches long – keep in mind that the knit I used stretches vertically and grew on me while wearing it. 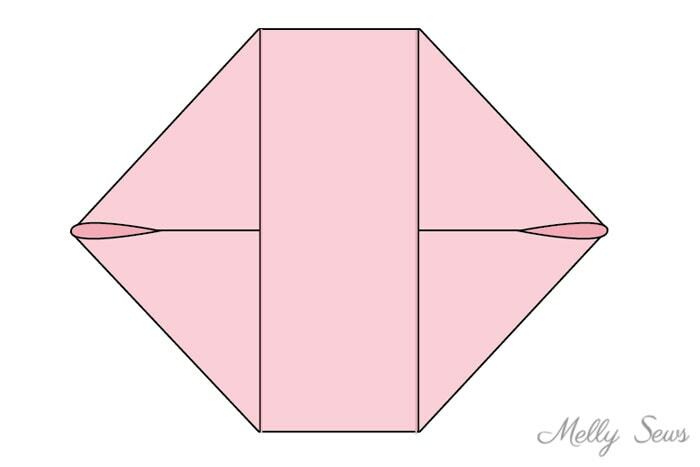 So cut your rectangle of fabric, then fold it in half matching the longer (horizontal) edges. Again, for finishing advice when working with a big knit fabric like this, watch the video. Otherwise, all you have to do is sew a 6 inch seam on each side of the rectangle and you’re done! Below is how the sweater looks laying flat after sewing. I have been looking for a pattern to show off a fabric print I have in fleece this is perfect I will try to remember to send a picture when I’m done. When I try it, I think I’ll take the extra width from the center back to keep the original edges. Thanks for the inspiration! Melly, you are one spectacular sewist. This pattern tute is so helpful for understanding the underlying tricks when working with knit fabrics. 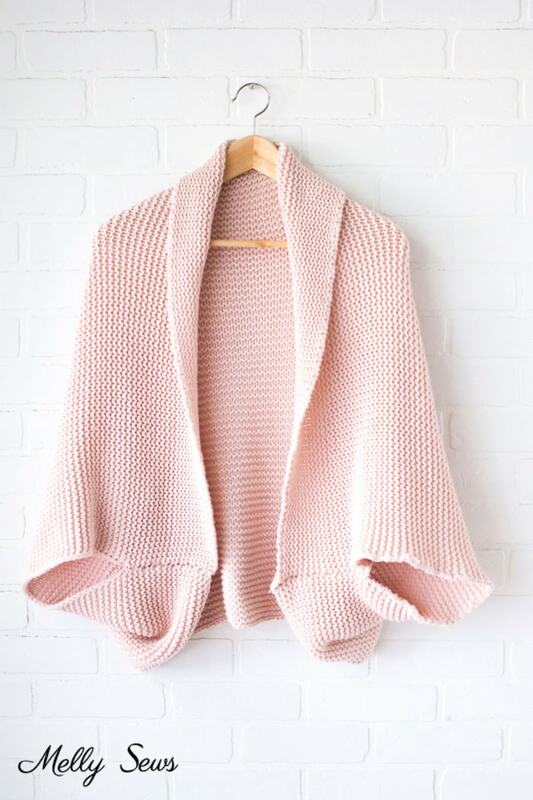 Excellent detailed instructions, and you look beautiful in the pink knit blanket. Thank you. I LOVE THIS!! With 4 littles, 7 and under, I don’t have much time to sew gifts this year, but I can totally make these for the women in our family! Thank you for sharing! I can’t wait to make one for myself!